Affordable, stylish, and packed with smart packing features, Ricardo Beverly Hills stands high in our rankings between various luggage manufacturers. Overall we’re impressed by their durability and packing features, which they’ve been able to achieve at such a low price point. 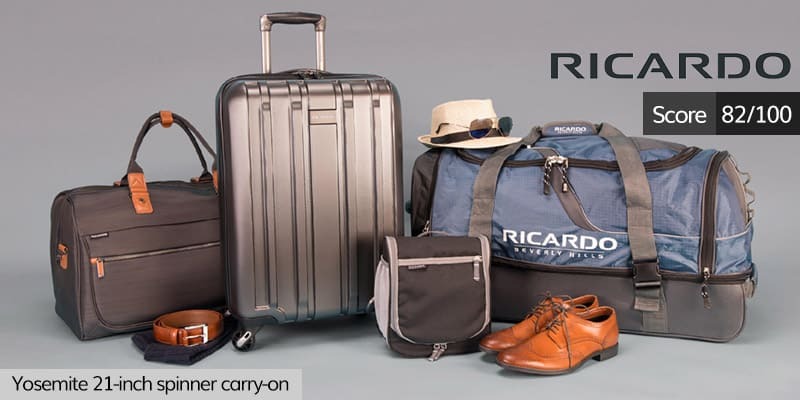 In this Ricardo Beverly Hills luggage review, we’ll go in detail about their quality, features, reviews, warranty, design, prices, and find out how they compare to other brands. In the last few years, Ricardo released several affordable suitcase models that came with improved packing features. To name a few, they now come with expandable width, TSA compliant toiletry bags, advanced compression straps, various smart inner compartments, padded laptop compartments, and other neat organization features. In this year, they’ve achieved a total rating of 82/100 on Clever Journey, which is on the higher end. To compare, the first place is occupied by Travelpro, standing at 90/100. Smart packing features. Out of all the suitcases that we’ve tested, Ricardo’s organization features really stand out. Overall, it feels like a lot of thought went into the practicality of their bags. Reviews. Ricardo Beverly Hills is pretty liked among their customers, and most have become repeat buyers. Support. If you run into any troubles, at times their support can be disappointing and slow-to-respond. Durability. Although their quality is on the stronger side, it’s not perfect. At this price point, it’s to be expected. If you’re looking for something that will last 10-15 years, you should look at something that costs 300-1000 $. A carry-on that’s packed with features yet looks simple enough from the outside. This is the best option if you’re looking for a cheap carry-on from Ricardo. The most popular suitcase that Ricardo has to offer. It has received stunning reviews, has some interesting features and great value. The perfect carry-on for short business trips. Includes expandable width, TSA-approved combination lock, suiter system & other smart packing features. Ricardo Beverly Hills is a luggage brand with over forty years of history. They were established in California, USA, and their designs are inspired by the lifestyle of California. In these last forty years, they’ve also created two other luggage brands: Skyway luggage and Stephanie Johnson. Furthermore, they’re also socially responsible and employ various techniques for preserving the environment. For instance, they’ve recently started using dreamfel fabric for their suitcases instead of polyester. Dreamfel leaves less waste in its manufacturing process. One of their most popular models Mar Vista has gotten one of the highest customer ratings we’ve seen yet. People seem to love everything about it: That it’s easy to spot on the conveyer belt, that it’s properly made, and very spacious inside the main compartment. It’s gotten hundreds of positive customer reviews and close to no bad ones. The same goes for other well-known models, such as Malibu Bay, Cabrillo, and San Marcos. Overall, these models stood out the most with the love that their buyers showed. Furthermore, a lot of their customers are repeat customers. In a lot of cases, people have been using their suitcases for five, ten, or even fifteen years before finally getting a new case because the old one was too heavy or showed too much wear. However, we’ve seen some bad reviews as well, especially on some of their hardside suitcases and lesser known models. For instance, their models Crystal City, Roxbury 2.0, and the Mar Vista garment bag are not doing too well on their customer satisfaction scores. What’s the key takeaway? It looks like not all of their products get as much attention to detail as they should get. It can be a hit or miss. So our advice would be to stick with the most popular models that have received almost perfect reviews. We’ll share some of their best-rated suitcases down below when we’ve finished getting into more detail about their features, quality, warranty, and prices. In durability, Ricardo Beverly Hills doesn’t get the perfect score, but it’s pretty high. 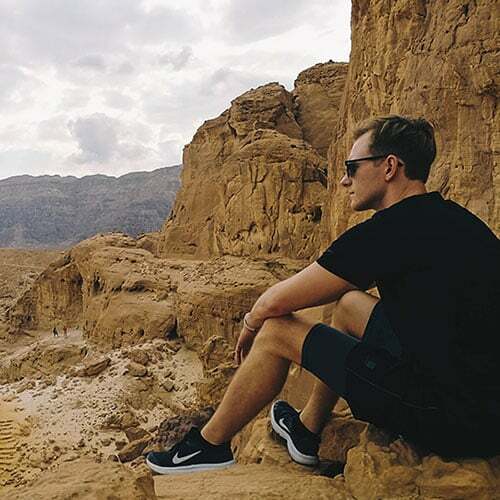 If we were to compare the durability with other luggage brands, it’s somewhat similar to Delsey, Tumi, or American Tourister, yet not as good as Travelpro, Eagle Creek or Rimowa. We’ve seen countless instances of people using their suitcases for ten or fifteen years without any huge issues. However, we do believe that these instances aren’t guaranteed to happen. For example, if you were to buy a Rimowa, you could be pretty sure that it would last at least ten years of heavy use, but with Ricardo, you can be sure that it will last at least three to five years of heavy use. (Or ten years if used only a few times per year). Although most of their cases are made from fabric, Ricardo goes the extra mile to ensure durability on their hard case suitcases. That is, usually, they come with additional protection, like armored corners, scratch-resistant finishes, and thick retractable handles. Furthermore, additional durability improvements are also included in their fabric suitcases, like stronger fabrics (Dreamfel), and plastic guards around the edges. We’ve given their durability a rating of 16 out of 20. Ricardo suitcases are well-made and durable, but they don’t take the extra mile to make them indestructible, as some more expensive brands do. Here’s a cheeky video by Ricardo, where they show off their durability. On the Malibu bay 2.0 collection, they’ve started using dreamfel fabric instead of regular polyester or nylon. This is important because they’re the first ones who went for dreamfel for their fabric suitcases. So what is dreamfel? It’s a fabric material, that’s made from 100% polypropylene. It’s better because it doesn’t absorb water, it’s more environmentally friendly, stronger, and lighter than polyester or nylon. You can see how dreamfel differs from regular fabrics in the video below. We’re glad to report that almost all of their cases have expandable width option included. Basically, you can expand your suitcase by an additional 25% volume when you’re short on space. Most manufacturers have this option included only in their premium models. However, Ricardo has them even in the cheapest options. Instead of regular spinner wheels, Ricardo has chosen to go with double ones. This means that in total you get eight wheels instead of four, which results in a smoother movement and improved lifespan of the wheels. Again, this isn’t a premium feature; they come even with the cheapest models. We like that Ricardo thinks more about the practicality of their bags, rather than how they look on paper. Their suitcases come with intelligent packing features, that are unique to some other brands. For instance, instead of using regular compression straps, they’re using compression straps combined with a zippered mesh to tie down your clothes in the main compartment. This way, the compression straps work in a more spread-out way, which results in fewer wrinkles on your clothes and better volume savings. Some more advanced models like the Ocean drive, come with a “Portable office.” They come with padded pockets for your tablets or Laptops, and variated compartments for pens, credit cards, power banks, chargers, and other gadgets. All of Ricardos’ hardside cases come with TSA-approved combination locks, which is a nice feature to have. Ricardos’ designs are inspired by the lifestyle of California. We like that overall they have a consistent and non-flashy style. Yes, some models offer colorful patterns, but they’re not too bright or flashy. They’re going for the chilly California beach vibes, which is very well seen in their Ads, social networks, and in the design of their bags. Ricardos’ cheaper bags look professional, yet not too business oriented, instead of their premium models, which would perfectly fit business people. They’re consistent with their materials as well. The cases are made from leather elements, aluminum finishes, and not too flashy fabrics. Overall, we rate their design at 13 out of 15, which is a pretty high score in design across our rating system. With Ricardo Beverly Hills, you can get two types of warranty. If you experience any defects due to faulty materials or workmanship, you can get your suitcase fixed free of charge or get a replacement. If it’s subject to the warranty, you will have to pay only for the shipping costs to the repair center. They’ll cover the return costs. This warranty lasts ten years. However, this warranty doesn’t include wear that naturally comes with time, misuse, or accidents. If the defect isn’t covered by warranty, they offer paid repair at their warranty centers. Basically, this warranty is identical to the 10-year limited warranty; only it lasts forever. If you register your warranty in the first 90 days after purchase, you get a first-year quality warranty. This warranty covers defects caused by normal wear (faulty zippers, locks, wheels, and handles ), and transportation damage. Although their warranty is pretty good, their support isn’t. We’ve seen some unfortunate instances of customer support from their end. That’s why their warranty gets a rating of seven out of ten. You can get a carry-on starting ar 79.99 $. However, their premium models can go up to 700$. Overall, their prices are pretty amazing considering their quality and features. The cheaper options that cost 79.99 $ – 200 $ are all impressive choices when you compare them to the competition. Yes, you can get a cheaper case from other brands, but it will most likely be less durable and offer fewer features. If you take a look at their premium models, the 700$ suitcase is made from aluminum and is a clear competitor to Rimowa, which costs 1000$ or more. Out of their expensive suitcases, we like Ocean drive the best, which costs around 200-250$. It has some really nice features and amazing looks. To sum up, Ricardo would get a higher rating if they were to improve the durability of their lesser-known models and improve their customer support. Really, these two are the only things keeping them from scoring a result of 90 or more. Other than that, we like how Ricardo thinks about the practicality of their suitcases. Some of their organization features are really advanced and well thought-out. Lastly, we value their overall public appearance and designs. They’re an environmentally friendly company that values the lifestyle of California. Considering everything, Ricardo gets a pretty high rating of 82 on our luggage rating system. To compare, the highest ever that we’ve given is to Travelpro, that got 90 /100. Ricardo Beverly Hills suitcases are pretty safe to purchase, and are as good choices as other more popular options, like Samsonite or Delsey. We like everything about the new Malibu Bay 2.0 collection. They’re sleek yet not flashy, environmentally friendly, spacious, and packed with many smart organization features. They’re available in 17, 20, 25, and 28 inches. The key element of how the new Malibu Bay 2.0 collection differs is the fabric material used in the suitcases. They’re made from an innovative material called Dreamfel, which is stronger, more environmentally friendly to make, doesn’t absorb water, and more lightweight than regular nylon or polyester used in most fabric suitcases. From the outside, the 20-inch carry-on is equipped with four double spinner wheels for smooth movement, it’s accented with some leather elements, has a top, side, and bottom handle, and two front pockets for your laptop, tablet, documents, and other essentials. It’s available in midnight navy and gray. We think that both of them look stunning. But the real fun starts on the inside. It’s fitted with two zippered mesh pockets to fill up all of your smaller items, like underwear, shoes, or chargers. Next, it has a removable TSA-approved toiletries pouch and two adjustable compression straps. What we like the most is attention to all the little details, like the small inner pocket for your luggage tracker. This bag comes with a lifetime warranty and overall isn’t priced too high, especially with all the cool features. That’s why we’ve picked it as the best affordable suitcase from Ricardo. The Mar Vista collection is hands down the most popular and best-rated collection by Ricardo. Especially, the checked 24-inch suitcase. It’s available in Purple Paisley (The one seen in the picture above), and Graphite. Although the bag is made from polyester, it’s really durable. Their customers have been using the pieces from the Mar Vista collection for years without any noticeable issues. The one thing that we don’t like about this collection is that it’s considered pretty heavy judging by today’s standards. For instance, their newer collection Malibu Bay 2.0 is much more lightweight. From the outside, this bag comes with four dual spinner wheels, two front pockets for your gadgets and an ergonomically designed handle with TPR grip technology. If you do decide to get the patterned purple paisley color, you won’t have any difficulty to spot it on the luggage conveyer belt, just because it’s so colorful and unique. From the inside, the main compartment is pretty spacious and well-designed. It features a suiter system where you can keep your suits and dresses wrinkle free. Instead of using regular compression straps, the ones included have a zippered panel around them, which results in fewer wrinkles and better overall compression for your clothing. Other than that, the interior comes with a lovely purple pattern, you can expand the width by two additional inches, and there are extra two zippered mesh inner pockets for your smaller items, like shoes, underwear, and chargers. This bag has some background to it, as this model was released in 2015. Since then, it’s been well-tested and received impressive reviews. By today’s standards, it’s too heavy and lacks some modern features. But if you’re looking for a bag that’s durable, cheap, and practical, rather than modern and tech-savvy, this just might be the perfect option from Ricardo Beverly Hills. If you’re looking to maximize the packing capacity in your carry-on, the Mar Vista 2.0 rolling duffel may be the right choice for you. It has a packing capacity of whopping 41.3L, much larger than all other Ricardo carry-ons. It’s the perfect bag for a quick weekend getaway and other short and spontaneous trips. Other than the large packing capacity, it’s pretty darn lightweight as well. It weighs at just 5lbs, which is even lighter than the Malibu Bay carry-on, weighing at 5,4 lbs. The large room plus lightweight gives you the opportunity to pack much more in your carry-on, so it makes sense to use it when you’re not using any checked bags. This duffel has two built-in skate wheels and a retractable handle so that you can transform it into a regular rolling carry-on. When the handle is retracted, it looks like a regular duffel bag, which is nice. When you have to access the main compartment, just unclip the two side clippers and then unzip the main zipper. This technique gives more access to your bag from the top, so you can easily squeeze in as many items as you like. For a more natural organization, in total you’ll find five pockets: two angled side pockets, two large front pockets, and a microfiber pocket for your eyewear or mobile phone. Given that it’s made from waterproof nylon, the price is pretty low. Overall, we like how crude and basic this bag is. For shorter, unplanned trips, that’s exactly what you need. If you’re looking for a carry-on for your business trips, the newest collection from Ricardo “Ocean Drive,” could be just what you’re looking for. It’s a sleek-looking hardside suitcase, that comes with many smart features, including a suiter system. First off, we love how this bag looks. The main frame is made from Makrolon polycarbonate, which has improved resistance for dings and abrasions. It’s finished with a patterned silver (or sandstone) finish and has some nice leather elements, that give the bag an overall business feel to it. Aside from the sleek looks, the bag comes equipped with four durable dual spinner wheels, a retractable metallic handle with leather elements, and top, bottom, and side handles. Inside the main compartment, you’ll find a special compartment where you can hang your suits or dresses, which results in fewer wrinkles. The main compartment opens in a split-book style, divided in the middle by a zippered sheet. (The same system is used for most hardside suitcases) If you need to store some smaller items, feel free to use one of the five inner zippered pockets. With the included TSA friendly toiletry pouch, in total, you get six inner pockets. Additional features include a TSA-approved combination lock, expandable width, and inner compression straps. Overall, the bag looks way more expensive than it actually is. At the time of writing this article, you can get it for less than 200$. That’s not much given what features the bag comes with. With the San Marcos collection, expect to pay twice as much as the Malibu Bay collection. Overall, the San Marcos collection feels a lot more high end than anything else they’re offering. And it actually is, because it’s made from more durable and expensive materials and offers better features than their cheaper models. Right off the bat, the San Marcos 29-inch checked suitcase is made from weather-resistant nylon, which is usually used in premium suitcases due to its durability. It’s not waterproof, but your items won’t get immediately wet in light rain. To create the overall luxury feel, light-brown leather elements have been used for zippers and handles. From the outside, you can see that the bag comes with dual spinner wheels and a TSA-approved lock. Usually, TSA locks come only with hardside suitcases, but it’s nice to see this feature given the high price. In total, from outside you will find four handles: regular ones from the top, the right side, and bottom, and another retractable handle from the top. Inside, the bag is made with the split-book principle, which means that it’s divided into two compartments, separated by an unzippable sheet. Again, this feature usually in included only in hardcase suitcases. Additionally, the bag comes with a suiter, compression straps, removable TSA-approved pouch, shoe pockets, expandable width, and several zippered inner pockets (Including a special pocket for a luggage tracker). This is Ricardo’s ultimate fabric suitcase. They’ve used the most durable materials and offer premium features that you wouldn’t see in cheaper bags. If you decide to get this premium suitcase, expect to pay at almost 300 $. If you’re taking only one bag onboard, an underseat suitcase might come in handy, because you can keep everything that’s necessary under your front seat, instead of the overhead compartments. The Mar Vista 2.0 16-inch carry-on is only 8.25 inches in width, which means that it fits under most airline seats. Although the dimensions are pretty small, the packing capacity actually isn’t that bad, 27.3 L. For shorter two to four-day trips, this bag would be more than enough. With its small size, comes fewer materials to be used, so naturally, it’s pretty lightweight. Its weight is 4.9 Lbs, for instance, the lightweight Malibu Bay carry-on weighs at 5.4 lbs. You can get this bag under 100$, but it’s pretty limited regarding features. There is no expandable width, spinner wheels, or TSA locks, but you do get other features instead. From the exterior, the bag is made from nylon fabric, which is a durable fabric used mostly in premium suitcases. Other than that, the briefcase comes with two durable skate wheels and a retractable handle for smooth rolling movement. In the back, you’ll find a strap that’s used for securing the Mar Vista 16-inch on top of a larger suitcase, by wrapping the strap around the larger suitcases handle. On both sides, there are additional pockets for storing smaller items. From the interior, the bag easily opens up with one large zipper. When it’s folded down, it’s pretty easy to access the main compartment, better than in most underseat carry-ons. Inside you’ll find a removable TSA-approved toiletry pouch and two zippered mesh compartments. Overall, the bag doesn’t offer that much to get excited about. We like this bag because it’s practical and essential. It’s affordable, built from durable nylon instead of polyester, and provides easy access to your laptop, tablet, books, headphones, or other gadgets that you would need during long flights. The San Clemente is actually one of the most advanced suitcases included in this review. In terms of features, it’s packed with everything that you would expect and then some more, including a USB charging port for your devices. You’d expect that it would cost at least 200$, however, it’s just over 100$. From outside, it’s made from polycarbonate, finished with a scratch-resistant diamond-like finish. We like how this case looks and we think that it’s one of the most modern-looking from this list. Part of it could be accounted to the diamond finish and the overall shape of the suitcase. It’s fitted with double spinner wheels, handles from the top, one side, and bottom, a retractable top handle, and a TSA-approved combination lock. When you retract the top handle, underneath you will see a USB port for easy charging of your devices inside airports, trains, and buses. So far so good. As with most hardside cases, the main compartment is divided into two parts, separated by an unzippable sheet in the middle. Inside you will find a TSA-compliant pouch for your toiletries, compression straps, and several zippered pockets for storing smaller items, like your gadgets, shoes, your power bank (That’s connected to the USB charging port), and other things. Let’s not forget the expandable width, which allows increasing the overall volume by an additional 25%. Now if you don’t care about the USB charging port and would rather have a suiter, I’d suggest that you go with Spectrum over San Clemente. A bonus would be its unique patterned design, available in black and white patterns. If you got the whole collection (Available in 20, 24, and 28 inches), you would be pleasantly surprised to find out that all of the suitcases fit inside each other. It’s a nice feature to have if you’re living in a small apartment. From outside, the 28-inch checked Spectrum is made from polycarbonate and comes in a glossy patterned finish. It’s equipped with double spinner wheels, top, side, and bottom handles. When you open up the inner compartment, you’ll see that it’s made in a split-book style, which means that both sides of the main compartment are divided by an unzippable section. The left section contains a suiter (You can hang your suits, shirts, and dresses for fewer wrinkles), one large unzippable pocket, and a smaller pocket for your luggage tracker. The right side comes with a side pocket for smaller items, and tie-down straps to keep your larger items in place. If you ever need more space in the main compartment, you’ll be glad to find out that this suitcase comes with expandable width that expands for additional 2.5 inches. In terms of pricing, this suitcase is priced similarly to the San Clemente but has different features, like a built-in suiter, and a special pocket for your luggage tracker. Overall, an affordable hardside suitcase, that has some nice features. Plus, you would spot it on the luggage carousel in seconds, just because it’s so uniquely designed. With the Monterey 2.0, Ricardo tried to be unique with some pretty interesting features. It’s their most affordable option, but we think that you would be better off by paying a few dollars extra and getting a Mar Vista or Malibu Bay. It isn’t bad, it’s actually pretty, cool, however, some other models are simply better. First off, you don’t get spinner wheels. Instead, you get two skate wheels. Those who have had their spinner wheels broken off might value skate wheels over spinners. From the outside, you get two zippered compartments for smaller gadgets, none big enough to fit a laptop. In the picture above you can see that the retractable handle can actually be hidden by an additional cover that’s unzippable. If you ask me, that’s pointless and only serves as an additional weight. Speaking of weight, this 20-inch bag weighs 2.5 pounds more than the Malibu Bay 20-inch carry-on, which is a pretty huge difference by today’s standards. In the main compartment, you’ll find a pretty large suiter, where you can store your suits, shirts, and dresses to keep them wrinkle-free. Additionally, you’ll get a TSA-friendly toiletry pouch, a pocket for your luggage tracker, several other zippered pockets for smaller items, and two compression straps for the main compartment. We actually think that the main compartment is pretty smart and well thought out. Another cool feature that they’ve included is a strap that lets you strap other bags to your suitcase, so you have to pull only one. Overall, the bag is pretty heavy, but we think that the Monterey 2.0 has some pretty interesting features. Still, we’d recommend getting a malibu bay or Mar Vista carry-on instead. If you’re looking for something that’s lightweight and durable, you might consider the Sausalito 2.0 20-inch carry-on. It’s been out there for a while now and has received some decent reviews. Although the Malibu bay is lighter and cheaper, the Sausalito 2.0 is much more durable and has better reviews. Let’s start with the durability. The suitcase is made from ballistic nylon, which is considered the most durable material for fabric suitcases. The inner frame is made from flexible wires so that the structure is lightweight and flexible. The bottom part of the frame is made from injection-molded ABS frame that provides a stable and rigid base for the suitcase. Overall, the bag is really lightweight, considering how durable the materials they’ve used. The bag comes with four single spinner wheels and expandable width for additional 25% packing capacity. Inside, you will find a suiter to keep your suits, dresses, and shirts wrinkle-free, two compression straps to keep your items secure, and several smaller compartments for any smaller items. This carry-on doesn’t come cheap though. It’s priced above 200$. However, it’s made to last, built from stronger materials, and has received some decent reviews over time.